Every year in Corolla, wild horses lose their freedom because people feed them and get too close to them, putting them in danger. 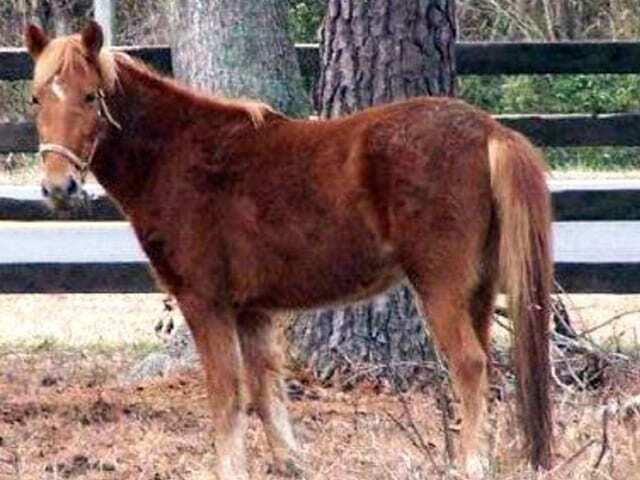 You can help keep them wild and free by respecting the Currituck Wild Horse Ordinance. Watch this inspiring slide show of the Corolla Wild Horses in their natural habitat, set to the music of “The Voice” by Celtic Woman. 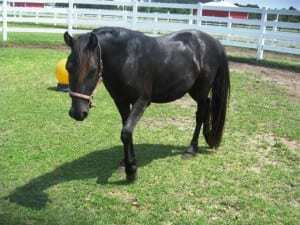 Meet Thunder, a beautiful bay Colonial Spanish Mustang gelding, removed from the wild herd in January of 2012. 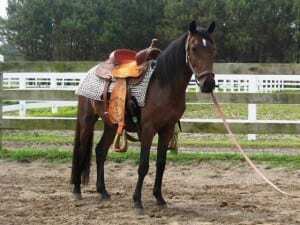 Thunder is a handsome three year old born May, 2009. He stands at about 12.5 hands and is still growing. 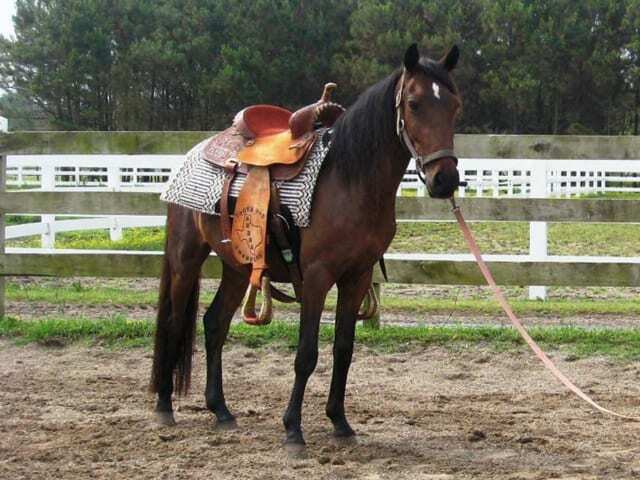 From January 30 to May 9, 2012, Thunder was enrolled in the equine technology program at Martin Community College. He is now started under saddle and has excellent ground manners. As of September 4, 2012, Thunder will be living in West Virginia with his new forever family. Solomon is a handsome bay gelding removed from the wild herd of Colonial Spanish Mustangs January, 2012. He was born the spring of 2009, stands about 12.5 hands, and is still growing. From January 30 to May 9, 2012, Solomon was enrolled in the equine technology program at Martin Community College. 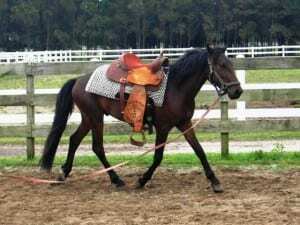 He is very light and smooth under saddle and has almost perfect ground manners. He will be continuing the rest of his training with the herd manager until he is adopted. Update: Solomon has been adopted and is now living in Chesapeake, VA with Ash. Bonita has been very happily adopted by Tami Thurston of Tarboro, NC the director of the Equine Technology program at Martin Community College and owner of Thurston Quarter Horses. Bonita has finished her training in the equine program at Martin Community College and has moved to her new home. She has made an excellent recovery from the injury she suffered in the wild before she was rescued and we eagerly look forward to following her progress as she finishes training in her new home. 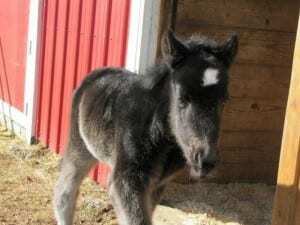 Amarosa has been adopted by Briana Apgar! We are so happy to see her go to her new home where she is much loved. 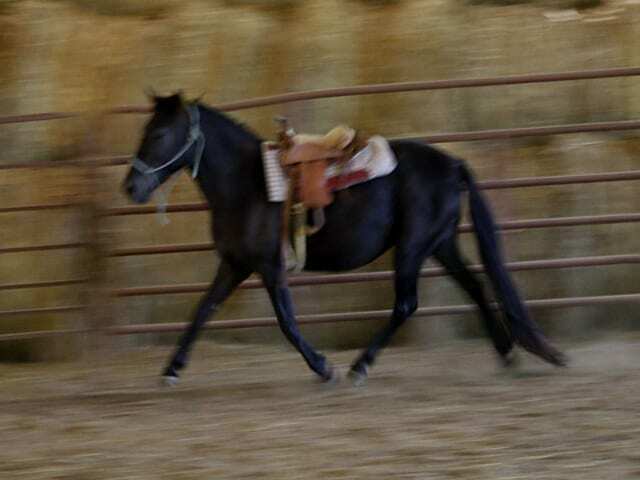 Manteo is a stunning black stallion adopted by Steve Edwards of Smithfield, VA. Manteo had a severe locking platella which required surgery from which he is now fully recovered. 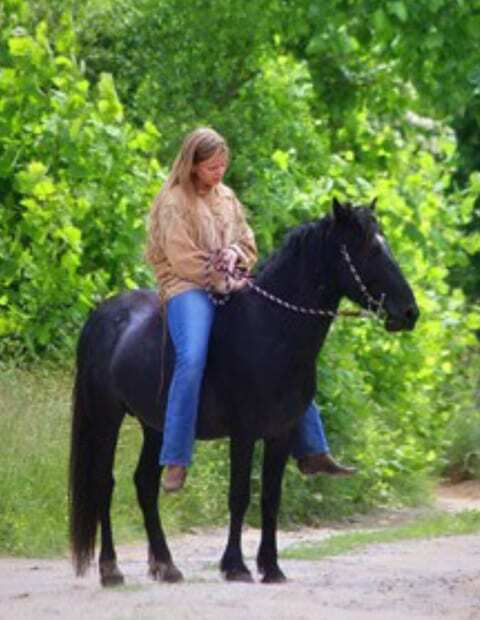 He leads an active lifestyle and has completed several trail rides consisting of 50 miles in one day. We are happy to announce that Stormy has been adopted by Van and Donna Overdorff of Indiana, PA! He is going to an excellent home. 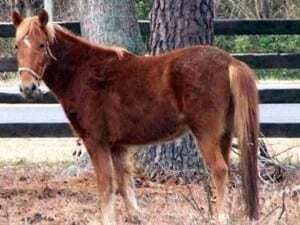 Van and Donna are also the proud owners of another of our Colonial Spanish Mustangs, Curly, adopted in 2009. We would also like to thank Nancy Talley for her time and resources in fostering Stormy until he could find his new home!